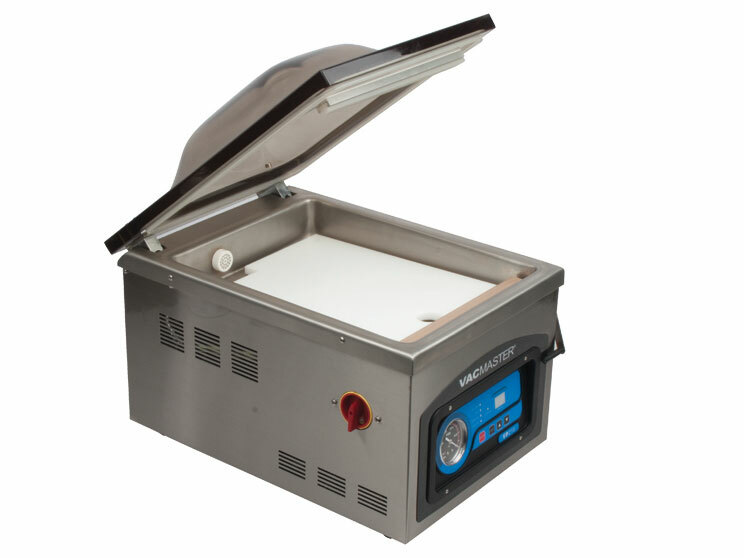 Superior Chamber Vacuum Sealing Technology The VacMaster VP215 Chamber Machine is vacuum sealer of choice for restaurants, culinary institutions, and delicatessens. It is also a valuable tool for serious hunters and fishermen. This VP251 features a 1/4 horsepower rotary oil pump which gives it unmatched vacuum sealing power and reliability. The rotary oil pump also allows the VP251 to run fast and quietly. How does the chamber machine work? 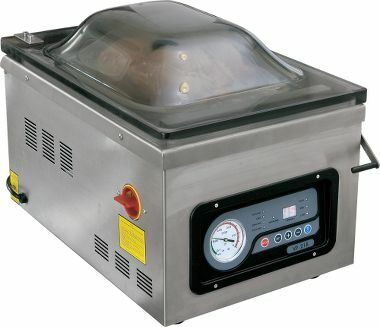 When sealing with a chamber machine, the vacuum pouch is placed inside the chamber and the lid is closed. Air is sucked out of the entire chamber, not just the pouch itself, allowing air pressure on both the inside and outside of the pouch to remain equal and liquids to stay inside the pouch. After the air has been removed, the pouch is fully sealed and air is returned back into the chamber. It really is a whole new way to vacuum package. If you've never experienced chamber technology before, you'll be amazed at the difference. The VacMaster VP215 Chamber Machine will change the way you vacuum package! The VP215 accepts chamber pouches up to 10"W x 13"L.
Chamber machines only accept chamber pouches for packaging. I was reading about the Pickle Crisp and found you rieevw on it. I wondered if you have tried it on dill pickles or any other pickled veggies?The last time I made dill pickles they were mushy and the family didn't care for them.